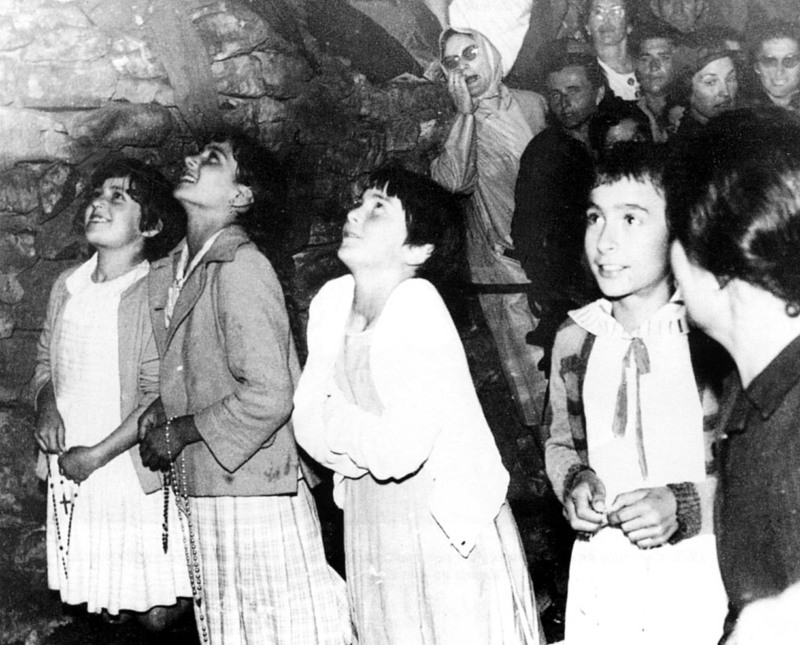 The Vatican has not given official recognition to the apparitions that occurred at Garabandal. There is nothing sinister about this, since the Church has always erred on the side of prudence, and it may be that its attentions have been focused on Medugorje where apparitions are said to continue to occur. The established policy is to rely on the advice given by bishops who have a responsibility to check on what is going on in local areas and make their own recommendations. It is perhaps unfortunate that some bishops have seen the reports of apparitions as a challenge to their own authority and therefore something to be vigorously opposed. It has to be admitted that the apparitions at Garabandal have caused more controversy than similar events elsewhere. There are parallels to be seen, but also many differences. If one compares Garabandal with Fatima, for instance, at both places Our Lady chose to appear to young children and in each case selected one of the group to be the major player. At Fatima it was Lucia dos Santos, at Garabandal, Conchita Gonzalez. 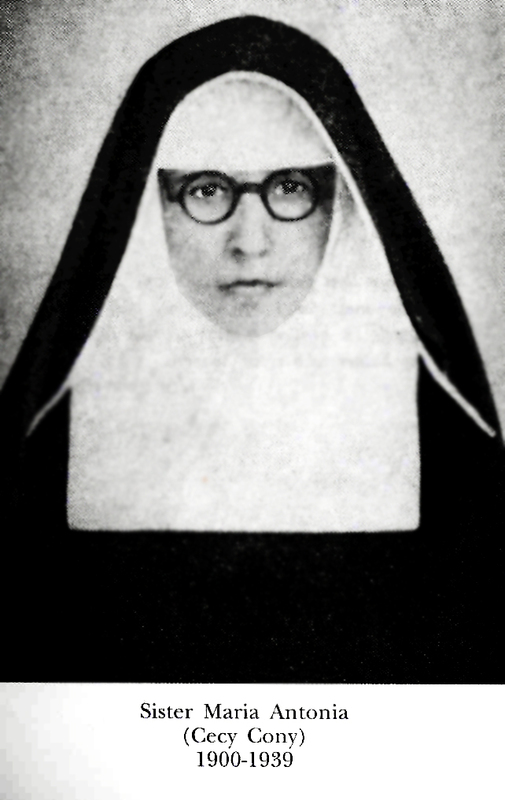 Lucia was given ‘secrets’, to be divulged at varying dates, whereas Conchita was told of a great Miracle that would take place at a specified date in the future, a date she could only divulge eight days before it was to occur. 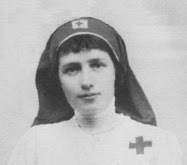 She was allowed to reveal that it would take place on a Thursday at 8.30 in the evening on the feast of a martyr dedicated to the Holy Eucharist. It would be visible to everyone in the area of Garabandal at the time and it could be photographed and televised, but not touched. Moreover, a permanent sign of the Miracle would remain in the pine grove where the first apparitions had taken place in June, 1961. This contrasts, of course, with the famous ‘Miracle of the Sun’ which occurred at Fatima in October, 1917, before a crowd of more than 70,000 people. It lasted for only a matter of minutes. Significantly, television did not exist at that time, communications generally were limited during the first World War, and the event was soon forgotten. The ‘Great Miracle’ was not the only prophecy received at Garabandal. Two other future events were also announced. One concerned a ‘warning’, the other the threat of a ‘chastisement’ if the warning were to be ignored. Naturally, there were those who poured scorn on such reported revelations. And just as Lucia had urged Our Lady to produce a miracle to prove that she herself was telling the truth, so did Conchita and her companions plead with their heavenly Mother to create a miracle that would justify their reports. They had to wait almost a year before their pleas were answered. In June, 1962, while their parish priest was temporarily absent, they received Communion ‘invisibly’ from an angel. Onlookers witnessed them opening their mouths, but did not see the hosts. On the 22nd June the angel advised Conchita that in her case the host would be made visible for all to see. She responded that this would be a ‘milagrucu,’ a tiny miracle, which caused the angel to laugh. Our Lady confirmed the angel’s promise and named the date when this would happen as the 18th July. Conchita announced this news to the people of the village on the 2nd July, which resulted in several thousand people crowding into Garabandal on the 18th to witness the event. Conchita’s mother had asked a friend named Pepe Diez to accompany and protect her daughter from the crowd. This he did and late that night was rewarded by seeing a ‘neat, precise and well-formed Host’ appear on her tongue. It remained visible for about three minutes, during which she remained kneeling on the ground in a state of ecstasy. Others in the crowd saw the same thing and reported that the host increased in brightness as they watched. The event was both filmed and photographed. The predicted ‘Warning’ related to an urgent plea from our heavenly Mother for a general conversion and a turning away from sin. When Our Lady appeared to the four girls for the third time on 6th July, 1961, she gave them a message which was to be announced publicly on 18th October. A second message, conveyed to Conchita in 1965, spoke of a further warning, which would be the last since the earlier one had been ignored. It declared that the cup which had been filling up was now overflowing. There was some criticism of the clergy. Too little importance was being attached to the Eucharist. All would have to strive to turn away the wrath of God. If they asked God’s forgiveness with sincere hearts He would pardon them. Mary loved them very much and did not want to see them condemned. If they prayed sincerely their requests for mercy would be granted. They should make more sacrifices and think about the passion of Jesus. This warning would precede the Great Miracle (probably by about a year, according to Mari Loli), but if people did not convert after these events God would send a Chastisement proportional in its severity to the severity of the sins of the world. This, one imagines, was reflected in the visions of the girls when they reported being terrified. At an early stage of the apparitions the Blessed Virgin advised the four girls that the time would come when they would deny these experiences and contradict each other. Thus, when they began to issue their denials in the spring of 1963, it came as no surprise to believers who saw this merely as the fulfilllment of the virgin’s prophecy. 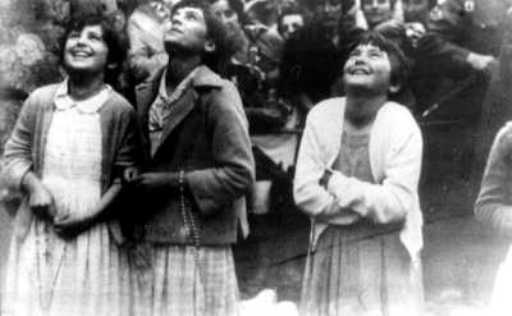 Later, Conchita, Mari Loli and Jacinta ‘returned to reality’ and reaffirmed their supernatural experiences, while Mari Cruz continued to deny them. In the case of Garabandal, the importance of the evidence of witnesses cannot be overstated. Testimonies have been, and still are, provided by them of the extraordinary behaviour of the four seers. They tell of how, during their ecstasies, their faces were transformed, becoming serene, happy and beautiful. Moreover, they became so heavy that even strong men could not lift them off the ground. Doctors who examined them while they were in these states tried pinching and pricking them with pins without producing any reaction, though the marks remained on their legs afterwards. Many of the onlookers were amazed at the speed with which the girls moved when making their way to the site of the apparition. Eighteen-year-old boys accustomed to running up steep mountain paths could not keep up with them. Nor did the girls ever perspire or show signs of being out of breath. Further proof that the girls were not guilty of collusion, whereby they might have agreed on what they saw or heard, is provided by their description of the interior ‘calls’ they reported receiving whenever the Blessed Virgin was about to appear. The truth of their claim was tested by physically separating them to discover whether they all received their ‘calls’ simultaneously. Invariably, they all turned up at the site of the apparition at the same time. It remains to be seen whether the predictions of the main character, Conchita, are fulfilled. There is not much time. She is over the age of sixty, living in America with her children. Also living in America is a blind man by the name of Joey Lomangino. According to Conchita, Our Lady promised that his sight would be restored on the day of the Great Miracle. Joey is already over eighty years of age. Let us hope he will not be disappointed. Thank you Deacon John for your kind comments and for linking to this article. I enjoyed reading a bit through your "What is Garabandal" blog. -Keep up the great work! -Union in the Hearts of Jesus and Mary. Thank you for the website. I love to read about the lives and visions of these holy people. You make it very easy to access them and read them. I do wish you would not have included Garabandal on the list though. It does us no good to read about unapproved apparent visions. The church wisely has not accepted their claims. It may cause confusion with some readers not familiar with Catholic saints as well. Thanks very much. Believe me, I appreciate your prudence concering the alleged Marian apparations at Garabandal. Surely we both agree that one should always try to be very prudent in regards to alleged private revelations. A clarification is necessary in your comments concerning Garabandal through. While the Church has not formally approved of Garabandal, it has not formally condemned it either. Since there was never to be found any glaring theological errors with the messages and events, the Church has wisely taken the position of awaiting the fulfullment of the prophesised warning and miracle. So, in other words, at this point the Church has left the faithful free to form their own judgement concerning these alleged events. Finally, while there has been a number of Catholics who have formed a negative judgement concerning Garabandal, there has also been some notable Catholics who have recommended it, such as St (Padre) Pio, Blessed Mother Teresa of Calcutta, and Mother Angelica to name a few. And as for myself, having studied the events of Garabandal, and keeping in mind the position of the Church, I neither support nor condemn the alleged events at Garabandal, and with an open mind, yet prudent and cautious, I await the fullfillment of the prophesised events. Time will tell! I was surprised that the garabandal apparitions were not ratifed. It is well worth reading " a still small voice" by the famous benedict groeschel - to put such revelations into some kind of context. With what are deemed private revelations the "approval" definitely comes with a health warning of "probably" genuine - the converse also true. The lack of approval by the ordrinary is not a definitive statement of falsehood or fake either. It put conchita and the children into an impossible position. Small wonder she went to new york. Thank you for your comments and the suggestion of Father Benedict Groechel's book. Time will tell whether Garabandal will be approved by the Church. For now I belive the Church is waiting upon the prophesised "Great Miracle" to occur in Garabandal. This of course will then be a confirmation of the events at Garabandal. So, time will tell, I believe. Without a doubt from the beginning the visionaries of Garabandal have suffered because of the doubts and uncertainties of the local clergy and those abroad. So I too am not at all surprised that 3 of the 4 visionaries moved here to the United States. The secret of Garabandal and the 10 secrets of Medjugorge.Thanks a lot. 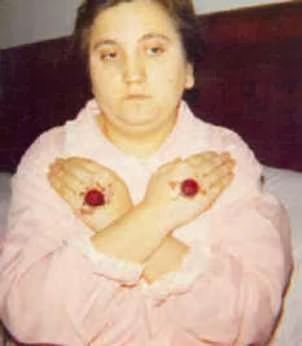 While I have studied the apparitions at Garabandal very extensively, having read several books and many accounts on the subject, I have only read a little about Medjugorje, so I am not in a position to offer a link between the two. Perhaps another more qualified person can do so here. I, too, am surprised you would include a post promoting Garabandal. The "Church" HAS made a statement about the apparition through the local Bishops. This is how apparitions are discerned, NOT by the Pope. Additionally, "notable Catholics" are NOT the local Bishop! True, St. Padre Pio is a saint, but he was NOT the local Bishop of Garabandal! Obedience to the local Bishop is paramount to discern if an apparition is supernatural (from God) or preternatural (from the devil). Every beatified saint will tell you this. Thanks for your comments and your concerns for the Church's position on the alleged events at Garabandal. Neither Rome nor the local Bishops of Santander (both past and present) have ever condemned Garabandal. Neither however has it been approved. So, to correctly summarise the Church's position on Garabandal it would be correct to say that the Church has not yet made any definitive pronouncement regarding Garabandal. The local Bishop has ruled "Non-constat de supernaturalitate" which literally means that it is not certain that the events are of supernatural origin, or in other words, the supernatural origin has not been established. With such a ruling, the events in question are still open to eventual recognition as being authentic or can be judged as not authentic. "The previous bishops did not admit that the apparitions were supernatural, but to condemn them, no, that word has never been used." So, there we have the current Church position on the alleged appearences of the Blessed Virgin Mary at Garabandal. Thus, the faithful are currently free to discern and form their own conclusions. As for myself, I am not seeking to "promote" Garabandal, however, having spent countless hours reading through the documentation of the alleged events, I have no reservations about presenting the facts concerning it, since the local Bishops themselves have found nothing contrary to Catholic faith and morals. Regarding the happenings in the locale of Garabandal some many years ago. Many accept the events as true, while many think these are false. The following is an outline for the reasoning process used in coming to the conclusion that the events in the region are factual and not otherwise. To this writer, there are only four possible answers as to the reality of these claims. 1) Are the seers making this up? 2) Are these occurrences imagined? 3) Are they supernatural in a negative sense? 4) Are they supernatural in a positive sense? The first explanation can be eliminated quite quickly due to the historical documentation provided regarding the tests run on the seers involving multiple instruments that would make any human being respond in a certain manner. The second explanation is quite obviously not viable due to the presence of witnesses along with a taped miracle on the day foretold from the apparition that an certain event would occur. In the third possible answer, it should be evident to believers that the false one cannot contradict himself, as our Lord says. “How can the evil one stand against himself? His house would fall.” Albeit, the evil one lies. However, this entity cannot stand up for the things uttered by the vision, such as amending lives. Eliminate the impossible, such as explanation three, with the improbable next, the only viable option is the last one. And the last one presents absolutely no difficulty in being accepted, seeing that nothing in the messages has been disproved nor found false at this time. That is all at this time. I completely agree with your assesment. In all humility I am quite discerning by nature, and over the years I spent many, many hours pouring through much of the documentation on Garabandal, (in fact I was just reading an article about Garabandal from Joey Lomangino today)and I was always left with a sense that the hand of God was present throughout the events there. And I also believe that the Church will recognise the supernatural character of the events of Garabandal when the predicted Warning and Miracle take place. The Garabandal site is interesting. Thank you. Any idea if Joey Lomangino is still alive? Where is he now? YES! Joey Lomangino is still alive and he is still one of the greatest promoters and supporters of Garabandal through his longtime apostolate of "The Workers of Our Lady of Mount Carmel". In fact, they have an excellent website-- www.Garabandal.us with lots of information about the events at Garabandal. You will also find Joeys story there. Joey still lives in Lindenhurst New York, as he has for many years. It's disobediently bizarre that some people insist "The Vatican" has to make a statement on the validity of any alleged apparation. The Magisterium of the Church STARTS with the local bishop. He is THE CHURCH in that area and responsible for investigating any alleged supernatural phenomena. Stop it with these bogus sightings......it's really irritating. I really pray that if it be GODs holy will that the warning/illumination of conscience happen soon in order that more souls will be thereby saved. Congratulations for your excellent blog and this news about Garabandal events. I have reasons to believe that these apparitions of Garabandal were genuine. I think that the opposition of the Bishop and the hierarchy was due above all to one of the messages given by the Virgin Mary to Conchita. It was interpreted as a censorship to the Magisterium of the Catholic Church and not to the priests, bishops and cardinals of the post-Council, as it was really the meaning of the message. Hi everyone! Thank you very much Glenn. I don't know why, but i feel that Garabandal apparitions are true. The only one doubt I may think about, seems unlikely too. This is refered to the hesitation perceived in the girls in different stages. Could they have been faking? may be a pair of times, but during 5 years? and with a growing number of witnesses? ; moreover, how could it have been possibly done; being so young, and in case of being influenced by some one else, weren't they isolated and deprivated of technologies or resources enough, how to set such an hypothetical "circus·? moreover, it seems that has been difficult to prove any intentional benefit of all that. In fact, watching Conchita's posterior interviews, she doesn't look like an skilfull cheater; in the other hand, she is not even histrionic at all. Of course we want to believe, reason that should (from a healthy position) lead us to watch out any trend to make up reality. It is just that in this case, most things (even the natural pressure and consequent hesitation or ambiguity in the girls), seem to fit a lot with a true manifestation of our beautiful Mother. I have read your amazing article titled:Private Revelations and Obedience to the Catholic Church, and found it quite astonishing since there are unfortunately few who do recognise the Teaching of the Church about obedience to the local bishop. Also,at the the end of the article you recommended a link for Father Peter Joseph saying "Another example: the alleged apparitions in Garabandal in northern Spain, in which four young girls alleged that the Virgin Mary appeared to them from 1961-1965. The response of successive bishops of the diocese of Santander has been uniformly negative, and the present Bishop Vilaplaua has concurred with this verdict. Despite this, there are a number of active associations supporting Garabandal. A simple case of disobedience to lawful authority". I just read this and feel quite confused, how can we encourage this apparition now since the bishops have not! I have read your comments to this, is in it safer to say the same as the bishops? Fr. Peter Joseph's article is indeed and excellent one. However, concerning his statement about Garabandal, it is simply incorrect to state that: "The response of successive bishops of the diocese of Santander has been uniformly negative, and the present Bishop Vilaplaua has concurred with this verdict"
While it is very true that the successive local Bishops of Santander (which encompasses Garabandal) have indeed been skeptical, this prudence is commendable as it would surely be a bad idea to grant apostolic approval to an incomplete apparition, as the predicted Warning, Miracle and permanent Sign have obviously not occurred thusfar. And when these three heavenly signs do occur, they will obviously ratify and confirm the events and the prophecies that occurred at Garabandal. To summarise this matter, as I stated in a previous comment above, thusfar the only official ruling on Garabandal has been "Non-constat de supernaturalitate" which literally means that it is not certain that the events are of supernatural origin, or in other words, the supernatural origin has not been established. -So, it is not true to state that the Bishops have ruled negatively against Garabandal. I hope this helps to clarify the matter a bit. Just love your hard work and perseverence. One thing only, since there's no apostolic approval to the alleged apparitions of Garabandal so far, LET'S ALL STICK TO THAT. The church says we should be prudent and wait so let's wait, as simple as that. May God and the Virgin Mary always guide you and shower with Her blessings. I appreciate the article in how it was researched and written. I also appreciate most of the discourse here, and where it ended up. It is more objective then most others on Garabandal. One thing that was not mentioned (and could be a point of confusion for many) is that the Bishops are being very specific in there successive statements when they use the term "supernatural". If the Bishops eventually do discern that these events were of "supernatural" origin (which would likely require the Warning and Miracle to occur as prophesied), then they would be making a judgement that the messages and events are of "God", I believe. So, as the question has been posed to the Bishops up to now, "Are these event of supernatural origin? ", they could not yet answer "Yes" in the positive. So to date, that could be interpreted as a "negative" answer, meaning "no evidence confirming supernatural origin" ...yet. What may be confusing to some, is that through the testimonies, the evidence, the minor miracle, and the video evidence, we can clearly perceive something "beyond natural" in these events. So many people are disappointed that the Bishops apparently discounted this "beyond natural" evidence that seems so clear to those who witnessed them, or those who want to believe them now. However, I don't think the Bishops "discounted" the evidence of this nature at all. In fact, they probably agreed that it was "beyond natural", but at the same time discerned that they could not confirm it was of "God". I believe the term for this is "preternatural", which acknowledges that type of nature of these events, but understands that both the angelic and the demonic orders are capable of things "preternatural". They are making a distinction between "supernatural" and "preternatural" in their prudence. There may be some who feel that evil forces infiltrated the church and served to quell the real 3rd secret of Fatima, and aided in lackluster investigation if Garabandal (since both appear linked, and both point toward the very nature of this infiltration, like LaSallette). Yet in the end, it is a decent result that Garabandal is not condemned, just not confirmed in its "supernatural" character at this point. It is also a positive that the Bishops deemed the nature of the messages as to be "not in conflict with the doctrines of the Church". I think that is why many who believe Garabandal is true, believe as they do, because why would the devil promote prayer, sacrifice, and the Eucharist (it would be like the Gospel quote in Mark where Jesus states that "satan cannot oppose himself"). There is also another faction out there that is causing even more confusion on top of the above, as well. The "ultra-traditionalists" are making internet claims of Garabandal's falsehood "precisely because" of the urge to receive the Eucharist! They feel it is a deliberate deception by satan to keep people from the "real mass" by embracing the post-Vatican II mass, through these apparitions. I would like such confusion not to exist, since it is hard enough to discern Truth, every moment of our lives. I personally am hopeful that Garabandal and the prophecies are supernatural, and would welcome the Divine Interventions if they are truly of "God". As always, we must be prudent as the Bishops have been, because we are aware the the demonic can mix truth with falsehood to lead people astray, even in "preternatural" ways. Excellent comments! !---I agree wholeheartedly with your perspective and your conclusion. Given the Bishops decisions and statements over the years concerning Garabandal I think the best approach is a neutral one. If it is of God, then the promised events will occur and this will confirm its authenticity. In the meantime I think that a healthy caution and neutrality is the best approach. If I understand correctly, Conchita was summoned to the Vatican at some point and gave the date of the Miracle to the Vatican. 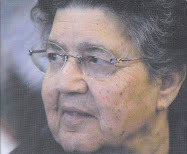 If you go to the following webpage (http://www.stjosephpublications.com/manuscripts_page.htm)and click on the link to "Father Ramon Andreu's Notebooks Part Two" towards the end of this notebook you will find the following statement: "The date of the warning is unknown, but Conchita, the Bishop, and the Pope know the date of the Miracle, as does the congregation of the Holy Office. Conchita declared it in Rome before this Vatican organization." I believe Loli knew the date of the Warning. Perhaps the Vatican knows the date, but at the very least they know the date of the Miracle and they know that the Warning must occur within the previous year. My personal opinion is that the date of the Warning should be made public (I think Loli herself said that she was not forbidden to divulge the date but that she "felt" that it was better not to do so. Making the approximate year of the Warning public would accomplish two things: it would help people prepare for this Warning and it would settle this matter of Garabandal once and for all. If the Warning didn't happen, then we would know that the whole thing was a hoax. Thanks you for your excellent comments---I apprecite your perspective and I agree with you completely. Mari-Loli knew the YEAR of the Warning (not the specific date) However, I am not at all surprised that Mari-Loli, Conchita and the select few at the Vatican (past and present) that might possibly know the proposed year of the Warning have chosen not to reveal it--I can understand a great reservation in this regards. However there WILL be an announcement when the time comes for the great Miracle. In regards to the Miracle (according to what Conchita has revealed to Joey Lomangino) the Miracle will occur 12 months or less from the Warning and will occur in the month of April, and again according to Joey Lomangino, Conchita knows the exact date of the Miracle (but not the Warning preceeding it) and Conchita has revealed that she is to announce it eight days in advance and the means of communicating the date to the world will be a miracle in itself (according to what Conchita told Joey in 1969). She also told Joey that "The world wide Warning must happen BEFORE the announcement of the Miracle." Thank you for another wonderful read. 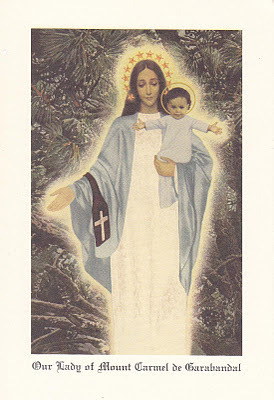 Can you tell me where I can get a holy card of Our Lady of Garabandal, exactly like the one you have on this site? To reply to your question, I belive I received that particular holy card from Joey Lomangino's organisation, The Workers of Our Lady of Mount Carmel de Garabandal. I question your translation of the "non constat de supernaturalitate" phrase . It really means "not established as supernatural". Ok, well, while some writers translate non constat de supernaturalitate from the latin as "the supernatural origin has not been established" however I will agree that the translation that you are offering "not established as supernatural" is probably truer in a strict translation sense, but the main point of course is that both gives one and the same conclusion. I was in Garabandal in may 1975 i saw an angel appear to me in the attic of a house that i stayed. But prior to that Our lady told me on the 3rd of july 1973 in south africa. She told me that after the election of the pope of the brown habit he wears the brown habit. that the mirecale will accure in garabandal and i am part of that mirecale. I believe that this new Pope will be the Pope of the brown habit and the mirecale will take place shortly. Thank you for sharing a bit of your spiritual journey. I will say that it looks like this Pope does not match the revelation you were given as the Jesuits of course are known for wearing black cassocks. Perhaps the next Pope?.. what our lady told me in 1973 came true the pope took on the name of st francis thus the pope of the brown habit by his title pope francis. in 1973 our lady showed me a pope dressed in a brown habit now i understand the title of st francis.and then our lady annointed me with holy oils she was next to the pope at the altar but this time he was in white i left our lady and the pope and a mirecale took place. I was living in South Africa now i am living in portugal i wish to remain anonymous until our lady calls me then i will go to garabandal. May Jesus draw you ever closer to Himself, and may our blessed Mother, the Virgin Mary, be a mother to you, and lead you ever closer to Her Son. I have read that the Holy Eucurist was actually given to Conchita by Archangel Michael with the Blessed Mother standing by on July 19th. The people grew upset with the children on the evening of the 18th as they were waiting for the promised experience and it was approaching midnight with no experience in sight. Conchita had consumed comunion the morning of the 18th of July and as Catholics we are not able to partake of comunion twice in the same day. So the Angel Michael waited till after midnight around one or two in the morning of July 19th. The date is important to me as I was born on the aniversary of this occurance. 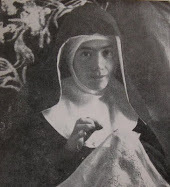 Our Blessed Mother advises that many proofs will be given to us regarding the existance of God and Heaven and even darkness, with the use of the digital camera. I have studied these apparitions for quite a number of years now. I will say, that personally I believe them to be true. One is reason is because I hope that the prophesied events occur, excluding the chastisement. I dreadfully fear the pain of the great warning but desperately long for the correction of conscience. Almost as the flames of purgatory, I don't look forward to the intense pain but at least when I feel them I will know I'm on my way up. I would like to point out quite plainly, that as Glenn has stated the apparitions have NEVER been condemned or shown to have any grave dogmatic or doctrinal errors in them, therefore we can safely exercise them. After all, the only thing they ask for is frequent Confession, Reception of the Eucharist, much prayer and penance and generally to live a good and pious life. As has already been stated, these are things the Church already calls us to do. Now in regard to the people who have negative views all I can say is that all the pieces of the puzzle are there, we just need the events to occur to prove them definitively. Aside from the fact we have a canonized Saint who was a mystic constantly seeing Our Lady who endorsed these events. We also have many other good, holy people who have said they support and believe in them. However setting those facts aside, just look at the simple facts of the events themselves. Obviously, something was occurring, there are too many witnesses and sworn oaths of tests that rule out the fact of a complete hoax. From a medical standpoint these young girls where exhibiting behavior far outside normal or natural occurrences. So therefore we are left with this question, are they from God, or from the deceiver? The devil is extremely shrewd, so he can find ways to make anything sound as if it were coming from a holy source, and not himself. However I find it extremely hard to believe that he would constantly ask for reparation of sin, conversion of hearts and much prayer. Also, the extreme importance of giving the Eucharist due respect is far beyond the capabilities of the devil in my humble opinion. He has nothing but total hate for the Eucharist because it is Body, Blood, Soul and Divinity Jesus Christ our God. On a side note, one which I ask you take at your discernment as with the messages. When I was at a retreat once, I met a very holy priest who I developed a very good spiritual relationship with. This priest was a personal friend of Mother Angelica and had known her long before EWTN. 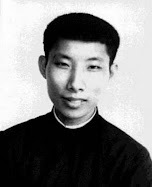 He also happened to hold a Sacred Theological Doctrate, a Doctarate in Canon Law and was ordained by Bl. Pope John Paul II. 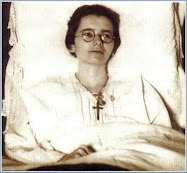 He believed heavily in the messages of Garabandal, and stated that according to a locution given to Conchita I believe, who he had known through Mother Angelica, that Mother was supposed to be alive during the Great Miracle as well, and would be present for it so she would be healed. Hopefully this is true. Regardless of the out come of this or any other apparition I pledge my full fidelity to Holy Mother Church and our glorious Pope. May God bless and preserve out Holy Father Francis, may he be protected from all bodily ills and may the Holy Spirit through the Immaculate Heart of Mary enlighten him in all of his works. When I was a child, Joey Lomangino visited my parents' home in Huntington, NY, and gave a presentation on the events at Garabandal and of Padre Pio. I'm in my 60's now and remember vividly Joey's testimony that evening. This article brought back many memories. Thank you. and also at Mother of God forum :http://motheofgod.com/ I have also built a large library for public viewing on both sites for a variety of articles and documentation ,all are welcome. Thank you & God Bless. It may interest you to know that I was the person who set up Joey Lomangino's appearances on EWTN's " Mother Angelica Live " show. Mother and Joey remain great friends and she has promised to cover the great " Miracle" when it happens in Garabandal. She has already had one physical healing , which she directly attributed to Our Lady of Garabandal. Thomas, I would like to address your comments with some facts. ALL the books and eye witness account of the girls in "ecstatic states" talk about how they moved so quickly ,backwards & forwards over the rocky cow paths. They were NEVER described by eyewitnesses as "zooming around" in an UNnatural way. They mystified the people because no human could run that fast forwards or backwards over rocks,without injuring themselves greatly. This was a sure sign of God's protection, and a supernatural event. There are plenty of videos showing their actual ecstatic walks,watch for yourself and you will see exactly what I described for yourself. Hi Glenn! This is Glenn Dallaire from the Mysticsofthechurch.com website. It is great to hear from you! I read your various post(s) on the website and I am sending you a email, as requested. I am very happy to hear of your devotion to Garabandal and your personal association with Joey Lomangino and Conchita. As for myself, Garabandal played a very important role in my conversion and return to the practice of the Catholic faith at age 28. My wife had taken me to a presentation on Garabandal by Maria Saraco and it made a very great impression upon me at that time. In the months and years afterwards, I spent countless hours reading through many books/documentation on Garabandal. and I have come to the conclusion in my own personal opinion that the events at Garabandal are authentic (again, this is only my own personal opinion while I await the Church's final judgement). I do receive the "newsletter" from Joey Lomangino via email and it is great to receive these messages from him occasionally. If you have the opportunity, please thank him for all his work over the years in promoting our Blessed Mother's message. -May God bless and reward him and all those who work for the greater glory of God and our Blessed Mother. Anyway, feel free to write to me as I would love to hear from you. -Union in the Hearts of Jesus and Mary! I did receive your email, thank you ! I just wanted you all to know that Joey Lomangino provides a free online link for the " Message of Garbandal " video ! It is available in 26 languages ! Watch it with family & friends ! Thanks Glenn for the information. May God bless you and your loved ones! There was an anomymous writer said that after the election of pope of brown habit, the great miracle would happen shortly and he would be present at the miracle ... Could the same writer explain how close it would be for the miracle to occur? Mary's promise of those who wear the medals, (which people seem to forget about) , has 2 sentences (not just the first one ). I jokingly tell people who wear the medal, the second promise is really the better of the 2 promises in the long run,lol. I just wanted all to know that I have comprised a library of interesting Garbandal stories and various topics, and personalities related to the apparitions, for viewing anytime on my facebook page. There is way too much information to post here. So if you have some time to read, check it out. God bless and thanks. I would like to point out some facts concerning the Church’s view of Garabandal, and other Catholic notables opinions and quotes. NO POPE has ever come out against the apparitions. NO Bishop has ever condemned the apparitions, and forbid Catholics from it. 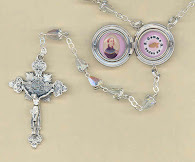 I am sending you a copy of the Holy Rosary of Fatima, which the Virgin told me to send you. The Rosary was composed by the Virgin and should be propagated for the salvation of sinners and preservation of humanity from the terrible punishments with which the good God is threatening it. I give you only one counsel: PRAY and get others to pray, because the world is at the beginning of perdition. They do not believe in you or in your conversations with the Lady in White. BUT THEY WILL BELIEVE YOU WHEN IT WILL BE TOO LATE"
Handed a book on Garabandal, Padre Pio gazed fixedly ath the cover and as though by chance, opened to the page with the last message-” the cup was overflowing” message of June 18,1965. He then closed the book and blessed it. From the book “Thunder of Justice “ page 163 : An incident which confirms Padre Pio’s belief in Garabandal occurred early in 1966. 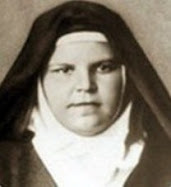 Conchita, who was only 16 years old,was visiting Rome with her mother and Fr. Luna. 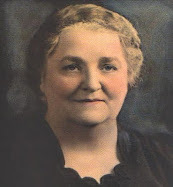 She had been invited by Cardinal Ottaviani, Prefect of the Sacred Congregation for the Doctrine of Faith. During the visit,Conchita met privately with Padre Pio. On this occasion, he took Conchita’s hand and her crucifix that Our Lady had kissed in Garabandal and held them both in his own two hands. The crucifix had passed through the hands of the child Jesus,during the apparition of November 13,1965. PADRE PIO SEES THE MIRACLE BEFORE HIS DEATH & CONCHITA IS GIVEN GIFTS BY HIM. Padre Pio never ceased recommending pilgrims who asked him about Garabandal, to make a visit there. He told Joey Lomangino, (the next most significant individual in the story of the apparitions after the visionaries) that yes, the Virgin was appearing there, and yes he should go there. On July 23, 1988, during a special general audience with the Pope at the Vatican ... "special" because it was held on Saturday, rather than the usual Wednesday... Father Robert introduced Garabandal Visionary Mari-Loli and family to him. Father Robert who was holding 7 year old Maria Dolores, one of the three Lafleur children, said to the Pope: "Your Holiness, a special blessing for your littlest children who come on behalf of The Blessed Virgin from Garabandal." Our Holy Father exclaimed "Garabandal!". . . And immediately kissed Maria Dolores. The Blessed Virgin., in conversation with the young visionaries of Garabandal, mentioned the Holy Father on several occasions, and told them, "Pray, pray for the Pope" . It is an interesting fact that Pope Paul VI issued his encyclical "Mysterium Fidei" concerning "the weakening of devotion toward the Holy Eucharist" on September 3, 1965, only eleven weeks after Our Lady had complained, "Less and less importance is being given to the Eucharist." 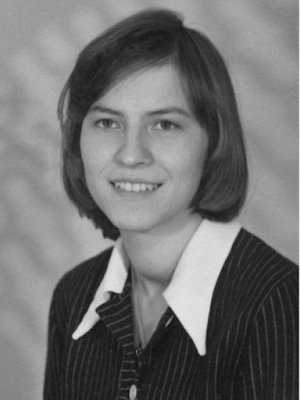 Early in 1966 Conchita was called to the Vatican. Gardinal Ottaviani, the pro-Prefect of the Sacred Congregation for the Doctrine of the Faith (Holy Office) had instructed Fr. Luna: "With or without the permission of the bishop, bring the young girls to me." During January 12-16 she was interviewed for 2 1/2 hours by the Cardinal and saw other members of the Congregation, afterwards she saw the Pope and gave him the date of the Great Miracle to come. She then paid a visit to Padre Pio, the famous stigmatist. Upon her return, at an audience in St. Peter's, the Holy Father came to her and announced joyfully in a clear voice, "Conchita, I, the Pope, bless you and with me the whole Church blesses you." 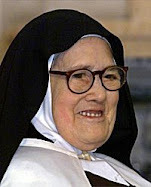 The famous Foundress of the Missionaries of Charity has never expressed any doubts about her profound belief in the divine origin of Garabandal: "It was in 1970 that I heard about the apparitions of San Sebastian de Garabandal for the first time . . . From the beginning, I felt that the 'events' were authentic . . ." (Letter of November 10, 1987 to Msgr. del Val). During her frequent trips to the United States, notably to New York, Mother Teresa had the opportunity of meeting Conchita who has lived on Long Island since 1972. This was the beginning of a strong human and spiritual friendship that never faltered. 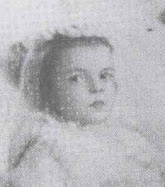 Mother Teresa is the godmother of Conchita’s third daughter, Anna Maria. The " MESSAGE OF GARABANDAL " online video, available in 26 languages ! Please share with your family & friends ! Rather surprised that you promote this false prophecy. Especially when there is another thread that says it is important to be obedient to what the church says. The church has condemned this. And besides there are so many of the alleged prophecies that did NOT come true that should have. I believe those who promote it could be guilty of heresy and this too can be ex-communicated! This is the latest issue from the Bishop about Garabandal in 2001. It is very clear, the church has said it is final! Recently a number of people, like yourself, have approached me as Bishop of Santander, enquiring about the alleged manifestations of Garabandal and, in particular, about the position of the hierarchy of the Church regarding this matter. Well, as usual people like yourself,who don't really read up on all the information spout non sense about something they know nothing about. THE CHURCH HAS NEVER COMDEMNED THIS APPARITION,ITS OFFICAL STATUS IS Non-constat de supernaturalitate - It is not certain that the events are of supernatural origin. Since every Pope since Pope Paul VI KNOWS the date of the Miracle THEY REFUSE to condemn it until the date passes. Secondly If I am to be ex-communicated , you better start with excommunicating Pope Paul VI, Pope John PaulII, Saint Padre Pio, SAint Jose Marie Escriva, BLessed Mother Teresa, and a whole host of others, who are certainly wiser & holier than me . WATCH AND DECIDE THE TRUTH FOR YOURSELF ! Anyone who thinks Jesus is going to come with a warning that will be that frightening that some could even 'die'. Well they didn't understand the Gospel. And then to say God will send a chastisement on us. Well, they don't know Jesus. WHERE in the Gospel readings do we read that Jesus sends us fear? Jesus is ALL good. It is not possible for Him to send us punishments. Just read this from another blog. Thought I'd copy and paste it. Seems as if the church has said quite a bit against Garabandal. From 1961 until 1965 four teenage girls saw visions of the Virgin Mary, the Christ Child, and angels. They received messages of the coming Chastisement, a coming warning, and a future miracle. What is unique about this phenomenon is that almost all the games Satan plays were used with these girls. THIS WAS NOT A FRAUD. There is too much evidence of the other world here. It all started when the girls decided to steal some apples from the school teacher's tree. They were thrown to their knees by an invisible force. In this first apparition they saw an angel. It must be remarked that angels do not allow humans to kneel before them. Throughout the four years of the apparitions all the powers of Satan were used. The girls were taken into the air many times One time one of the children was lifted over the top of a building. They were made to do ungodly movements of the body: taken swiftly above the ground, down the rocky hill hundreds of feet to meet "The Lady?". In every case the children were FORCED to their knees in a quick undignified manor. Many times they were forced with their heads backwards in a position that could not be done naturally. All of the children were heard to speak in LANGUAGES they did not know. On one occasion they prayed the "Our Father" in Greek. The girls were seen LIFTING each other up above their shoulders to kiss the lady. However, at other times, three grown men could not lift them. Several times the girls were found SCREAMING. There were many "SIGNS IN THE SKY" seen by many people: moving stars, hosts, images, etc. In one case a fire was seen and the "Virgin" claimed that she had come in this FIRE. How can anyone ignore the 'fact' that there are a number of prophecies that did NOT happen in which the alleged Virgin said they would? Since when does the Mother of God get prophecy wrong? Should take just one thing not to come try to prove it false. Yet there are a number of things! When I stop laughing I will answer all these LIES. First, Try to comprehend, that if God wanted to get your attention to something SUPERNATURAL, he has to provide prrof, so yes the girls fell on rocks ...UNHARMED ! Walked with incredible speed over these rocks ..UNHARMED, on a few occasions levitated ONLY INCHES OFF THE GROUD, ALL PHOTOGRAPHED !!! THERE IS NOT ONE PHOTO OF THEM FLYING OVER A HOUSE OR BUILDING. I DARE ANYONE TO PROVIDE ONE PICTURE, ITS NEVER BEEN DONE BECASUE ITS A LIE ! Girls speaking in another language only proves it is super natural, and THINK..WHY WOULD SATAN WANT THEM TO PRAY ?? THat certainly is not satanic. The girls lifting each other to kiss Mary is satanic ?? LOL please how desperate is the idiot who wrote this trash. If you or the uneducated person who wrote this bunch of lies and misunderstands bother to READ the books you would clearly understand why Mary talked "what you think is non sense" to the girls. THIS IS A MOTHER TALKING TO HER 12 YEAR OLD DAUGHTERS ! At first ,she engaged them in everyday conversations to make them understand Mary was interested in their lives and concerns,like a concerned Mother would ! AND after she established a relationship with the girls , THEN SHE DID NOTHING BUT TALK ABOUT OUR SALVATION !! Why do think she was there ? The Warning & Miracle are A WAKE UP CALL for OUR SALVATION !! Glenn Hudson, it is not a laughing matter that the faithful are being misinformed from you disobedient promoters. You ask "how desperate is the idiot who wrote this trash?" Answer. It was a bishop to Rome. How dare you call him an idiot. You suggest the uneducated should 'read the books'. Well I have read the books. So explain to me why the paralysed boy died. Yet it was promised he would be cured the day of the miracle? Explain to me why Conchita's cousin did NOT become a priest, even though the 'alleged' Virgin said he would? Explain to me why both Father Luis brothers died before this 'alleged' miracle when this 'alleged' Virgin said they will be alive to see it? And there are more. Shall I go on? Will you spin a lie and say this was never said? If you do, I will say to you "READ THE BOOKS" Didn't Conchita say "It is all in the books?" Are you going to respond here? Glenn Hudson, You are going against the Church in spreading this apparition that the CHURCH (not me) says "it has all the works of satan" and you are guilty of leading people astray. Jesus, when He comes, it will be His final coming. So I urge you all to stay awake. If you do not believe me. Go and ask your parish priest. 12 And what I do I will continue to do, in order to undermine the claim of those who would like to claim that in their boasted mission they work on the same terms as we do. 13 For such men are false apostles, deceitful workmen, disguising themselves as apostles of Christ. 14 And no wonder, for even Satan disguises himself as an angel of light. 15 So it is not strange if his servants also disguise themselves as servants of righteousness. Their end will correspond to their deeds. The life of Christ is God's final word and deed, the end of divine Revelation. There will never be a new public revelation until our Lord Jesus Christ comes again at the end of time. Yet there seems to be a new revelation. As God forgot to tell us there will be a warning. I believe our Holy Church. You constantly ignore 2 Popes who not only approved of the messages BUT ENCOURAGED US TO PROMOTE THEM. I don't need to speak to "a priest" because I spoke to the BOSS of all the priests already..POPE JOHN PAUL II. I cant leave pictures of that meeting on this forum,but they are available if you want. I am only following 2 Popes and 4 other Saints who encouraged us to promote, maybe it is you who needs to consult someone of some notable authority. Anonymous , why are you here? This is a page about Garabandal,if you're not a believer,thats fine, just leave. And I love how you keep posting my full name, as if you're calling me out. well at least I'm a MAN, who stands by his beliefs and covictions, not some nameless COWARD who hides behind a screen name to point out other errors in his eyes.You're opinion means nothing here. Glenn Hudson I knew you would ignore the prophecies that did NOT come true. I knew you would not respond to my questions about the paralysed boy who died. Yet it was promised he would be cured the day of the miracle? You ignore Conchita's cousin did NOT become a priest, even though the 'alleged' Virgin said he would? You ignore the fact both Father Luis brothers died before this 'alleged' miracle when this 'alleged' Virgin said they will be alive to see it? How can The Mother of God get prophecy wrong? Who amongst us want to be the ones whom God is talking about here? 1 Tim 4:1-2 (Phi) God’s spirit specifically tells us that in later days there will be men who abandon the true faith and allow themselves to be spiritually seduced by teachings of demons, teachings given by men who are lying hypocrites, whose consciences are as dead as seared flesh. It is so wrong that the disobedient promoters like to declare JP11 gave Garabandal it's authority. Funny how we have NO official writings on this. It makes no sense at all that the Bishop would publicly put a letter out AGAINST Garabandal in 2001 while JP11 was Pope if JP11 approved it. Fact is, NO Bishop would. and here is the "Official" letter that was published in 2001. Anonymous: I will reveal the answers to ALL your questions ,when you have the integrity to reveal YOUR FULL NAME & PICTURE (just like me )! No one cares what a coward says. Glenn Hudson, A letter from the Bishop to say that the Catholic Church in Garabandal can have masses said there does NOT mean the Bishop has changed his mind on the apparitions. It just means mass can be said. And why shouldn't it be said there? It is a Catholic Church. BUT. NO mass is allowed at the Pines! You might want to let the public know this too, as there seems to be selected information given. When the Bishop reopened the church in 2012, the priest warned the people the day before NOT to mention the 'alleged' apparitions. It was clearly not a favoured subject to the Bishop. When Glenn Hudson says "Anonymous: I will reveal the answers to ALL your questions ,when you have the integrity to reveal YOUR FULL NAME & PICTURE (just like me )! No one cares what a coward says." I love the way you promoters always revert to 'name calling' when cornered. Very unchristian. Is this what you learn from following false prophecy? Some people like to put their name and picture out there to puff themselves up. Others prefer to stay anonymous so they can not be attacked in forums in which Glenn has so much control. Glenn, does this mean the ones that do believe in Garabandal who post under 'anonymous' are cowards too? When a man speaks of prophecy and that is his main intention, there is something terribly wrong. Wouldn't you think? Why would not a man speak and proclaim God's words? I don't put my name & picture to "puff myself up", its because I have been blessed to know and work with Joey and Conchita, and I sometimes relate personal stories so people know that what I say is the truth from the people directly connected to the apparitions. People always want proof, like you, so I give them a name and a face,and stand by everything I say. YOU on the other hand, come to a PRO-Garabandal page, to cause trouble and attack what we believe and hide behind your shielded screen. You are the one doing satan's work, that I am sure of. You certainly are not wiser or holier than the Popes (who refuse to condemn this apparition) and the countless Saints who support it. You put yourself above them ? WHO'S "PUFFING THEMSELF UP NOW ". ps. Why would you want to celebrate mass at he Pines, when the Eucharist is in the church ? Your arguments are desperate. Why do I come to a pro Garabandal page? To show what the Church says. To show what the Gospel says and how it contradicts Garabadandal prophecies. I come to show that The Mother of God NEVER gets prophecy wrong, yet there are so many prophecies that did NOT come true. I come on here to show the truth, because there are self proclaimed promoters who ONLY tell what they want you to hear. When Jesus comes, it WILL be his final coming. As Jesus said to St Faustina. "Woe to those who do not recognise my visitation." Our parish once a year says mass in the garden. Even though Eucharist is in the church. The Eucharist can and is allowed to be brought out to the garden to celebrate mass. I am not desperate. But once again I can provide "FACTUAL" proof why the church does NOT want the faithful to follow the false prophecies of Garabandal. Fact is. NO mass is allowed at the Pines. Reason being. So people do suddenly think the church has accepted it. Mass is allowed outside in Lourdes and Fatima. But not outside at the Pines in Garabandal. I'm glad you quoted Sister Faustina, she experienced the very thing that Mary described WILL HAPPEN at the WARNING ! “Suddenly I saw the complete condition of my soul as God sees it. I could clearly see all that is displeasing to God. I did not know that even the smallest transgressions will have to be accounted for. What a moment! Who can describe it? To stand before the Thrice-Holy-God! “— Divine Mercy in My Soul, Diary of St. Faustina, §36. BINGO ! That's what's coming people, get ready ! There is one very important detail which is so very different between Garabandal and Jesus' message to St Faustina. One gives fear. The other brings love, hope and forgiveness. Garabandal. 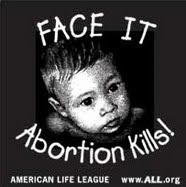 Some can die through the shock of it as it will be so frightening! St Faustina: He will come in unfathomable Divine mercy, that even the greatest sinners will be entitled to this mercy. False prophecy can be exposed. For every lie, I will expose. I will use Gospel and 'approved' words from the saints. Not 'alleged' words of saints that self proclaim promoters use. 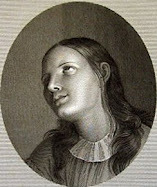 The 'alleged' Virgin stated 2 people who would be cured the day of the miracle. 2. The paralysed boy. But he has died. Also. 2 of Father Luis brothers were told they would be alive to see some alleged miracle. They have both died! Also, Conchita's cousin did NOT become a priest, even though the 'alleged' Virgin said he would? I too have the knowledge of Garabandal. So I will expose ALL the truth so not to have the faithful led astray. Again you miss the point, its an "illumination of conscience " Im talking about, they are exactly the same. Joey is only 83, and by the way, NO one in Garabandal can tell me the boy's name who supposedly got this promise,Ive asked for FACTS and got none. I am in the process of investigating where the truth is. Conchita';s cousin exercised " FREE WILL" ever hear of that ? Some people go against Gods wishes, and God allows that to happen. How else can you explain all the evel in the world ? I have thousands of eye witness testimonies for over 2000 apparitions, photographic and video evidence of the supernatural events, plus the support of Popes & saints. I don't need all of this to believe,it just makes it that much easier. You will not believe until the Warning knocks you off your feet, so be it. You have a fraction of the knowledge I have of Garabandal, but you lack the most important thing...faith. Glenn Hudson. Now you have what they call 'blind faith'. While that would not usually bother me, this does, because you put yourself around the internet professing a 'false' prophecy. Read again about the 'illumination of conscience' St Faustina's is completely different to Garabandal. One even says the sky will go dark yet the false one says the skies will light up. REALLY? No one can give you the boys name? Glenn you just said I have only a fraction of knowledge compared to you! Funny, I just showed you information you reckon you don't know. Please don't be so pompous. You know no more than what I know. Conchita's cousin did exercise 'free will'. How sad that this lad ONLY entered the monastery because of this false prophecy. It must have messed with his life. FACT is. The alleged Virgin said "He will be a priest." He DIDN'T! She does NOT get prophecy wrong! You do NOT have support from any saints or Popes, so stop saying you do. Fact is. I supply true and official words from saints or church or Gospel. Glenn you ONLY supply words that you promoters want us to hear. Those 'alleged' words from saints or popes are NOT, I repeat not written anywhere officially. Glenn Hudson. You say "the warning will knock me off my feet." No, you are have got Christ so wrong! Because Jesus is going to exercise His unfathomable Divine Mercy on me and the whole world, it will NOT knock me off my feet. I will be immersed in His great love and mercy. You want to be very careful Glenn as it looks like you may be included in the ones in which Jesus warns "woe to those who do not recognise my visitation." Glenn you have a chance to be like St Paul. You could open your eyes, look at the facts and see you have been wrong. Then you can profess the good news of God. Let people know He is coming in mercy. As He is all good, not vengeful. He is mercy! Anonymous , you have not taught me anything because we all knew the sir name Fernandez, but No one knows for sure who it was because there are countless people names Fernandez , its like saying the American was named "Smith". AND, Conchita Never named this boy, by name, people assumed it was the Fernandez boy, NO NAME was ever given by Mary or Conchita ! Glenn Hudson, once again I can uncover your lie. You reckon no one knows the boy because his surname is so common. hummm. In Garabandal there were never many families there. But this may help you. The boys father's name was Augusto Fernandez. And you say NO ONE knows him?? You say you have proof of over 2000 'unexplained' apparitions. I say the Church has 'explained' it. They said "it has ALL the works of satan there." Matter explain by the Church! I will leave you now. I can see you will not be like St Paul. But Glenn Hudson. you are guilty of leading people to do the "unforgivable sin". Blasphemy against the Holy Spirit! Which is not to recognise Jesus when He comes in Mercy. Instead you want us to think we should be fearful because we will be told off in a warning. A warning that "it will be a thousand times worse than earthquakes….like a fire that will not burn your flesh"
That DOES NOT SOUND LIKE JESUS! Anonymous I dare you before God to provide ONE SHRED OF EVIDENCE that the church said there is anything evil or from the hand of satan in GARABANDAL ! NOW YOU EXPOSED YOURSELF AS A LIAR ! Here is testimony from a priest, Father Jose Ramon Garcia de la Riva ,an eyewitness,who wrote a book on the authenticity of the apparitions, and one story in particular to erase his own fears of any evil presence. READ AND LEARN, stop spouting your uninformed opinions. Your lack of real knowledge is exposed here because the theme of all Mary's messages were REPENTENCE,SACRIFICE, CONFESSION, MASS, COMMUNION,THE ROSARY, AND THE BROWN SCAPULAR ! SATAN DOESNT SPREAD THESE MESSAGES ! Satan hides behind the mask of saying go to mass, say rosary etc. He does this in Medjugorje too doesn't he Glenn Hudson? But what else does he say that will prevent our final salvation?? He in his deceitful way has spun a lie to have us do the 'unforgivable sin' Blasphemy against the Holy Spirit. He is saying there is a 'warning' a warning that is so terrifying some will even die! This is where we will fall into the unforgivable sin. How we may not recognise Jesus coming in His unfathomable Divine Mercy. Glenn Hudson, you preach of a God who will send a chastisement, who will send a terrifying warning. I speak of a God who is merciful, one who in which scriptures says has NOT made us for a wrath! I speak of a God who forgives. I do NOT know the God you speak of. You speak of a false god. So ,you proved to me that you could not find ONE piece of eveidence from the CHURCH, of evil, only your opinion. So that discussion is closed. GOD, has already once destroyed the earth with a flood because men refused to believe that God would punish their transgressions against him. Ever hear of Noah & his ARK? Since the days of FATIMA ( a church approved apparition ), the world has been warning of a coming tribulation IF we don't change our ways. You can stick your head in the sand all you want, but another "Warning" is coming. I love the Bible. I learn so much from it. I am so glad you brought up the 'foods' of Noah. You might want to read it some time. Glenn Hudson, you do not speak about God's word, it seems you don't even understand it. The Gospel is also worth reading. God sent His only son who showed mercy and love and forgiveness. BTW Glenn Hudson. Read again. It was Copies of all the Local Bishop & Rome's Official Declarations I gave that said Garabandal had all the works of Satan, not me! Self proclaimed promoters of unapproved apparitions are dangerous. They are a thorn in the side of the faithful. But I find it very easy to show their contradictions. There words are different to Gospel. I just hope others can see Glenn Hudson wants you to think God is vengeful and wants to punish humanity. Where in the Gospel do we see Jesus is like that? No where will we find such a thing. Right through the Gospel, all it does is show how kind and merciful our God is. You cant even find ONE shred of evidence of anything demonic said by a CHURCH OFFICAL . I've READ EVERY DOCUMENT ,THERE IS NOTHING ! So, instead of being redundant in your (unproven opinion ) PROVE IT OR STOP SAYING IT ! As far as the Bible, you need to brush up there too. No one ever said thee was going to be another "FLOOD " to destroy the earth. THe WARNING which you don't even understand, is not a PHYSICAL punishment, it is an examination of your soul. THe Chastisement been referred to as a cleansing by Fire (not water ) , these are two different events. Glenn Hudson. You say you have read every document. Funny how you didn't know about the paralysed boy and the name? Again. Why wasn't he cured? Did Mary change her mind? If you know so much, maybe I should go directly to you and stop reading the bible and stop asking our priests. Because it seems as if our priests and Bible have it wrong. The Gospel and our priests constantly tell us how merciful God is. The holy book and our priests must be wrong! Maybe I should wait for a warning as Garabandal prophecy says "It will frighten all humanity regardless where one happens to be at the time....it will be a thousand times worse than earthquakes….like a fire that will not burn your flesh….it will last a very short time, although to us it will seem like a very long time"
OH HOW TERRIFYING! Now I have FEAR! MY God why would you do this to us? Why did you hang on that Cross to only punish us? I thought that Jesus hung on that Cross to take away our sins, not to send chastisements. I thought you love us more than our own earthly fathers. Yet I know my earthly father would never send me fear or suffering. I thought fear only comes from the evil one. But I am wrong. Because Glenn Hudson tells us of a new revelation of a warning. Oh my Jesus, why did you forget to tell us this when you walked the earth? But will we be alright under the wing of Glenn Hudson? I will ask Glenn, I'm sure he says we will. I see you have nothing to offer here anymore. ADMIT you cant find ONE shred of evidence that it was demonic from the church. #2.I know where the "Fernandez name came from,the reason I don't use it is it is UNCONFIRMED #3- In the book " She Came in Haste" -there is NO MENTION of the boy's name , AND YOU STILL CANT TELL ME HIS FIRST NAME ! ( you know why? people assumed it was the Fernandez boy ) BUT HE IS NEVER MENTIONED BY NAME ANYWHERE IN any BOOKS,FACT ! The Warning is exactly for people like you, who think they never offend God. We don't even know yet how the littlest things we do offend him, but the Warning will show us ,AND THESE ARE NOT MY WORDS,BUT OUR BLESSED MOTHER'S. So remember when you try to discredit me here, you are really trying to discredit our Mother Mary, because she is the one bringing the message of repentence, NOT Glenn Hudson, I just echo her words to the deaf of the world. and by who's authority do you have to spread these messages? What Bishop said you can do this? Glenn Hudson, you do not spread the word of God, but you spread the word of a unapproved apparition. One in which the church has said not to follow. By who's authority ? Well lets see, I met (SAINT ) POPE JOHN PAUL II IN 1998. Conchita's 2 closest friends were SAINT PADRE PIO, and BLESSED MOTHER TERESA ( who was Conchita's daughter's Godmother! and you ? Oh that's right you're "Anonymous", LOL . ACTS 5 :39 But if it be of God, you cannot overthrow it, lest perhaps you be found even to fight against God. Sorry Glenn Hudson. Just because you met a Pope, that does NOT give you any authority! Just because you have a photo with Conchita doesn't mean anything either. Guess what? I too have met and have a photo with one of the seers of Garabandal. You ask "What is my right?" Well I don't promote false prophets. No Bishop has told me I can proclaim any apparitions. But Jesus gave me the right to proclaim His words. So I happily show His words and show contradictions against His word. That is what I and any follower of Christ should do. You promote a vengeful god. I promote a merciful God in Jesus. Thanks for the quote of the Bible. I believe the Bible so I will repeat it for you..
Good thing the ALL the Bishops have overthrown Garabandal and said it is "FINAL"
Because it is not of God! "For such men are false apostles, deceitful workmen, disguising themselves as apostles of Christ." Nothing is final yet, as the Vatican has made NO final decision, becaUSe they know the date of the Miracle ,and are waiting to see if it happens. ALSO the ARCH BISHOP of the DIOSECE HAS NOT MADE A FINAL DECISION ASPER HIS LETTER ! STOP SPREADING LIES !!! This board is for those who wish to learn about Garabandal,if you don't believe that fine, your constant lies and lack of any proof ,other than your opinion are taking up valuable educational space here . I don't give lies or hide the truth. Glenn Hudson, you twist the truth and hide much. FACT: Glenn Hudson or anyone has been given NO authority to spread the words of any apparition. Fact: Bishop allows mass in the Garabandal church, not at the pines. AND there is NOT to be any mention about the 'allege' apparition. Fact: Mary NEVER gets prophecy wrong. Yet there are many prophecies of Garabandal that did NOT happen. FACT: 2001 Bishop's"Official" Letter finishes by saying..."which is now final: I agree with [and] I accept the decision of my predecessors and the direction of the Holy See." FACT: Todays Bishop when reopening the church in Garabandal did NOT want 'any' acknowledgement of the 'allege' apparition. FACT: To think we are going to see a warning is exactly what satan wants us to think as this will lead to the 'unforgivable' sin. Blasphemy against the Holy Spirit! FACT: Garabandal is a 'new' revelation. catechism tells us there will be NO new revelation until Christ returns. So YOU are calling the ARCHBISHOP Carlos Sierra A LIAR ?? IN THE 2007 LETTER WHICH YOU CONVENIENTLY IGNORE,The person in charge of all the local Bishops said : "I respect apparitions and have known of authentic conversions. How can we not always feel the need to open our heart to our Mother Mary to tell her that we need her protection, her help, her courage, her hope, her faith and her love when faced with these events! I encourage you to keep maintaining such devotion toward our Mother”. (Saint) Padre Pio affirms Garabandal to a PH.D in confession..
(Saint) Padre Pio affirms Garabandal to a PH.D in confession. Glenn Hudson, You make many comments that the author has had to remove. You do not speak of a man who brings forth the 'good news'. Evil seems to constantly come out of your heart. You declare an 'unofficial' letter from a 'sick' Bishop in 1982. I do not say any Bishop is a liar. If Archbishop Carlos Sierra of Oviedo, said those words. THEY MEAN NOTHING ABOUT THE AUTHENTICITY OF GARABANDAL. HE WAS then 'ONLY' the acting Apostolic Administrator. Again FACT: The current Bishop wants 'nothing' to do with these alleged apparitions! Pope JP11 never said the Mary was appearing there nor did Mother Teresa. Them having met Conchita does NOT give it any authenticity. Besides. You speak of a god who sends fear and anger. You do not speak of a Jesus that comes in forgiveness or mercy. Glenn Hudson. You have NO authority to promote this alleged apparition. You go against the wish of the church. shame shame shame. Glenn Hudson. Answer me this. If the messages were for the 'whole' world to hear, why does Conchita or Jacinta not speak of them? Why are they silent? Anonymous , you make me laugh. When it says "author removed post" THAT MEANS I REMOVED MY OWN POST ! NO ONE ELSE DID, WAKE UP ! Anonymous said :Pope JP11 never said the Mary was appearing there nor did Mother Teresa. Them having met Conchita does NOT give it any authenticity. Wow, how do you just ignore every FACT I post ,even documented stories of JPII & Mother Teresa public support. There's reason God can not reveal things to blind people like you, enjoy your ignorance. Glenn Hudson, you speak like a politician. Ignore the question and twist the truth. I tell you. If I ever needed a person my side to convince people of some thing that is of God, or even to push anything that is good. I would NOT have you do it. Your mouth makes people realise it is NOT the Virgin that appeared in Garabandal. You do not speak like a man that is guided by the Holy Spirit. Quite the opposite! I know of 2 people from MOG forum who no longer believe, all because of you! While I am not the best or holiest spokesperson for our Blessed Mother, I have my faults, my temper being one of them,(because of people like you who ignore the facts, and show Mary little faith ) I am the most loyal ,and she sees how I struggle to open the eyes of the blind who rebuke her saving messages. While you quote 2 people who don't believe, I have thousands every day who do follow her messages,and its not my job to convince every single person of the truth, the Warning & Miracle will do that. I could explain AGAIN why the 2 remaining woman do not speak , but why waist my time, since everything I say falls on your deaf ears. I believe I am done with this endless debate. Post whatever you want ,and I shall do the same. God bless you. Please Glenn Hudson, Explain again why Conchita and Jacinta do not spread the message of the alleged Virgin of Garabandal? If Mary gave such important messages, why do they NOT talk of them? It doesn't seem to bother you in constantly repeating yourself every where else, so this simple and quick answer should be easy. WHY DON'T THE SEERS OF GARABANDAL SPEAK OF MESSAGES IN WHICH ARE MEANT TO BE SO IMPORTANT FOR US? Only could be for 3 reasons. 1. They don't believe these messages are really from Mary. 3. They are being obedient to the church. rerTHE REASON WHY CONCHITA AND JACINTA DO NOT SPEAK ABOUT THE 'ALLEGED' APPARITIONS OF GARABANDAL IS BECAUSE OF OBEDIENCE TO THE CHURCH. So Glenn Hudson. All you above arguments in trying to justify you promoting this condemned apparition is not true. The church has told the girls NOT to speak of it, because the church is AGAINST IT! Garabandal tells us of a warning which will never be. Garabandal leds us to the 'unforgivable sin' which is blasphemy against The Holy Spirit. Glenn Hudson, you the 'false apostle' who is disguising himself as an apostle of Christ. You are running with words that you have NOT be authorised to give. May God have mercy on you for you constant insults of me. I am NO false apostle,I am just a person selected to help spread the messages of Mary & Garabandal. I ASKED Conchita that very question many years ago, she basically told me that the Lord had her in the world to talk about the validity of the apparitions, and she did that up until about 1980. 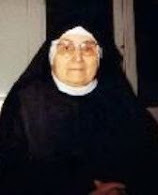 BUT as she reminded me from her Feb. 13, 1966 locution with Jesus, she had a vocation in addition to speaking about Garabandal FOR A CERTAIN PERIOD OF TIME, her vocation was to be a wife and mother. So, after almost 20 years of constantly being asked the same questions over and over, she prayed about it ,and received her answer that she was to remain silent until the 8 day notice of the Miracle. You must remember also, she must be obedient to Jesus's will,whatever he asks of her, whether she agrees with it or not . Her answer from that point on was " it's all in the books " . I believe some of those you mentioned believed something had happened and even believed in some point in time that it was 'possible'. But they NEVER said "YES" that the Virgin was appearing there. Even the church says it is not a fraud. But Pio said to Joey "Go there with discernment." (This Joey said in a public talk in 1977.) I believe Joey has twisted this himself and I feel for him as he is holding on to so much hope that is fading as each day goes. You are right Glenn Hudson. Conchita did say it is all in the books. These are some prophecies of Garabandal that did not come true. 1.“Padre Pio will see the miracle.”........ He died! It is only heresy that he saw it before he died. NOWHERE IS IT OFFICALLY SAID OTHERWISE, just another twist by promoters. 2. Pg 160 After Pope John XX11, there will be only 3, no 4 more popes, then NO MORE. SO WHAT IS POPE FRANCIS? No More it said! 3. Pg 182 "Father Luis body to be found incorrupt after the miracle.”.......... His body has been dug up, and it is not incorrupt. 4. Pg 160 "Paloma Pacheco Larrauri born in 1931, a barren woman told, “you will have a son the day of the miracle.” ...... She died barren. 5. Pg 147 "Conchita told in ecstasy, said 3 month old Pepi Luis will become a priest.”........ He entered seminary but did not continue. Conchita's promise from the Virgin that Father Ramon Andreu's two other brothers Marcelino and Alejandro would live to see the Miracle at Garabandal...... They have both died! 7. Augusto Fernandez son, the paralytic boy to be cured the day of the miracle....HE TOO IS DEAD. THAT IS 7 PROPHECIES THAT DID NOT COME TRUE. My information is quite knowledgeable for someone who doesn't have as much knowledge as others. 20 But the prophet who presumes to speak a word in my name which I have not commanded him to speak, or who speaks in the name of other gods, that same prophet shall die.’ 21 And if you say in your heart, ‘How may we know the word which the Lord has not spoken?’— 22 when a prophet speaks in the name of the Lord, if the word does not come to pass or come true, that is a word which the Lord has not spoken; the prophet has spoken it presumptuously, you need not be afraid of him. You must understand what Conchita was referencing . When she was told that there would be 4 more popes, then it would be" the end of the times" this meant an "end of an era." The prophecy had nothing to do with the future number of popes, it was MARKING A PERIOD IN TIME. The reason it is the end is we are entering a new era, one which this generation will witness the "Warning, and the great "Miracle", and obviously a new pope. This new era will define history ! FR. LUIS ANDREU'S BODY INCORRUPT ? Pepe Luis went against Gods wishes, that was HIS choice ,that's because we all have "free will". The Frs. Andreu were NOT promised to be "alive " during the Miracle, just as Padre Pio was NOT promised to be alive at the time of the miracle ,yet HE DID SEE IT . There is no confirmed & documented information on Augusto Fernandez son,please provide your claim he is dead, if you can . This letter proves that the apparitions are still in the minds of the Bishop's diocese , and do not reflect a negative view as some internet lies would have you believe ! Just the opposite ! That letter above, again carries no weight at all for any approval of Garabandal. If the messages of Garabandal is so important and Bishops approve, the church and the seers would promote them. Fact is. Neither speak about them because the seers have been told to be silent and the church does not believe the messages were from Mary. All the Bishops of Garabandal have said NO to it. ALL. This includes the current one! You know regarding St Pio dying before the miracle. Regarding Father Luis also not being incorrupt. It doesn't bother me that you can come up with unofficial comments like "they saw the miracle before they died". But there are 7 prophecies that are proven incorrect. 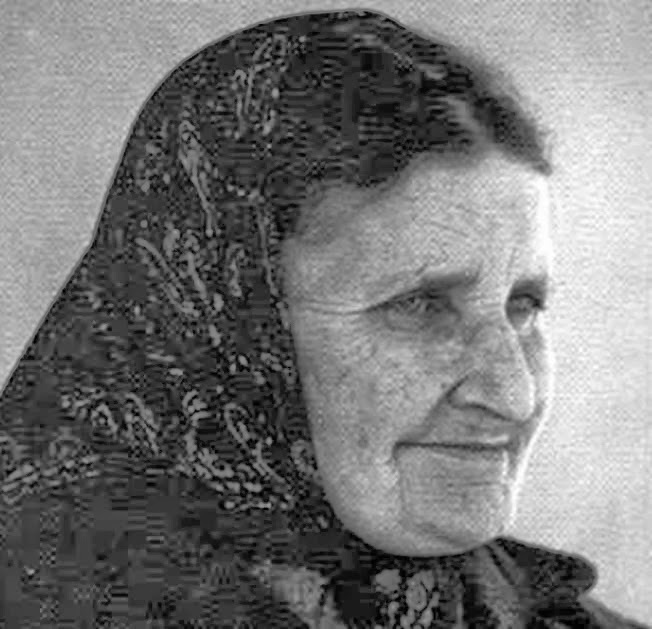 "Paloma Pacheco Larrauri born in 1931, a barren woman told, “you will have a son the day of the miracle.” ...... She died barren. "Conchita told in ecstasy, said 3 month old Pepi Luis will become a priest.”........ He entered seminary but did not continue. As Conchita said. "It is all in the books"
Read in the Bible what it means when Heaven speak of "end of time"
IT MEANS THE END OF THE WORLD. And let's face it. That is what all the Garbandal followers believed until after JP11 died, then that too was twisted. I can show enough documentation from church and Gospel to prove when they speak of the end of time, they mean the end of the world. Hmmm, who's more qualified ? Glenn Hudson, the Bishop did NOT give his approval. You need to read what you post. This letter says "I am sure the next Bishop will promote further studies to examine in depth the Garabandal"
Well, the next bishop has not and does not promote further studies to Garabandal. Those names of saints etc you mention above NEVER said this apparition was 'valid'. You know this too! Those who do read this blog, it is not hard to see the errors of this 'alleged' apparition. Do you believe a self promoter or do you listen to what the church says? REMEMBER. If there is just one of the prophecies that did NOT happen. It is not possible to be from God! well, not unless you believe Mary gets prophecy wrong! So why do I show the errors with such passion? Because to think when Jesus comes, He is NOT coming with a warning that "will frighten all humanity regardless where one happens to be at the time….it will be a thousand times worse than earthquakes….like a fire that will not burn your flesh….it will last a very short time, although to us it will seem like a very long time"
THIS IS NOT WHAT JESUS WOULD DO. These words will make you fearful of Jesus, you will not accept His mercy, then you will fall into the 'unforgivable sin'. As Jesus said to St Faustina. "Woe to those who do not recognise My visitation"
This is satan's last chance to stop us in being saved, by making us fall into the unforgivable sin. So Glenn Hudson. You do go against the wishes of the Church. You promote when the church does NOT want you to. What is more, you are not helping anyone. You promote a 'new' revelation. If we need to know about the prophecies of Garabandal, the church would let us know, and so would the seers, but they are silent and one of the seers does NOT believe it was the Virgin who appeared in Garabandal. Anonymous,THIS IS A PAGE ABOUT THE APPARITIONS OF GARABANDAL .THIS WAS NOT MEANT AS A DEBATE PAGE ,BUT ONE FOR INFORMATION ABOUT GARABANDAL. I will not be commenting on anything you have to say from now on, it is pointless when you ignore the facts. If you do not believe, that is fine, GO start your own page for unbelievers. God bless all here who at least listen to the messages of our Blessed Mother Mary, who is only protect her children,before it's too late. Watch the video and decide for yourself. Sorry, I did not mean for it to be a debate. But I too like to give INFORMATION. Information that these promoters never let others see. Fact is. The messages of Garabandal speak of doom, and make us think of Jesus as vengeful. Fact is. 7 prophecies of Garabandal did NOT come true. This is the LAST "OFFICIAL" letter from the Church regarding Garabandal. They have said it is FINAL. FINAL. - issued on 11 October 1996 Then reprinted in 2001.
of the Church concerning these apparitions. in the alleged apparitions, and this will make a unanimous position with my predecessors. agree with [and] I accept the decision of my predecessors and the direction of the Holy See. Glenn Hudson. I sincerely give this to you. I hope you do what the Lord would want. He always asks us to be obedient to the Church. I pray for you! 17 In that same year, in the seventh month, the prophet Hanani′ah died. Prefect for more than twenty years of the Sacred Congregation of the Holy Office, which, in 1966, became the Sacred Congregation for the Doctrine of the Faith, Cardinal Ottaviani was, in his special function of "guardian of the faith". It was therefore, with prudence, that, one might remember, he first listened to Conchita in January 1966, at the Vatican. 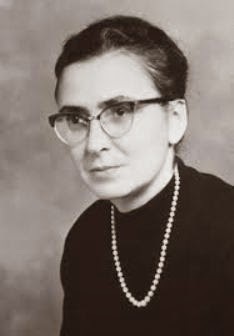 The initiatives that the Prefect of the Sacred Congregation for the Doctrine of the Faith took, right after his conversations with the visionary, facilitating her meeting Pope Paul VI, in private, allows us to suppose, however, that his opinion was already favorable. 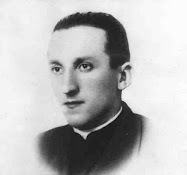 . . Not, however, without mentioning how Jacinta herself was to be introduced to Cardinal Ottaviani, in 1975, for we know the astonishing exhortation he then addressed to her: "We must pray a great deal, Jacinta, so that the Church may acknowledge Garabandal," after . . . having told her that 'he believed in the supernatural character of Garabandal'! A book that the 'official' promoters of Garabandal gave to me. Written by Jacques Serre - Beatrice CauxThese are some prophecies of Garabandal that did not come true. 2. Pg 160 After Pope John XX11, there will be only 3, no 4 more popes, then NO MORE. SO WHAT IS POPE FRANCIS? No More Popes it said! 6. Fr. Ramon Andreu's Notebook (DiaryConchita's promise from the Virgin that Father Ramon Andreu's two other brothers Marcelino and Alejandro would live to see the Miracle at Garabandal...... They have both died! From the above posted quotes of MINE, one can feel reassured that while the Vatican has neither approved or condemned the apparitions with a final decision yet,based on personal interviews with some of the girls,and (because the Popes have the date of the prophecised Miracle to come,and it has not passed yet ), that there is substantial support of the apparitions until the date of the Miracle passes. Our Lady's 1st Message of Garabandal :October 18, 1961-- We must make many sacrifices, perform much penance, and visit the Blessed Sacrament frequently. But first, we must lead good lives. If we do not, a chastisement will befall us. The cup is already filling up, and if we do not change, a very great chastisement will come upon us. 2 But false prophets also arose among the people, just as there will be false teachers among you, who will secretly bring in destructive heresies, even denying the Master who bought them, bringing upon themselves swift destruction. 2 And many will follow their licentiousness, and because of them the way of truth will be reviled. 3 And in their greed they will exploit you with false words; from of old their condemnation has not been idle, and their destruction has not been asleep. THE BLESSED MOTHER'S 2 MESSAGES OF GARABANDAL Our Lady's 1st Message of Garabandal :October 18, 1961-- We must make many sacrifices, perform much penance, and visit the Blessed Sacrament frequently. But first, we must lead good lives. If we do not, a chastisement will befall us. The cup is already filling up, and if we do not change, a very great chastisement will come upon us.2nd message:June 18, 1965-- As my message of October 18 has not been complied with and has not been made known to the world, I am advising you that this is the last one. Before, the cup was filling up. Now it is flowing over. Many cardinals, many bishops and many priests are on the road to perdition and are taking many souls with them. Less and less importance is being given to the Eucharist. You should turn the wrath of God away from yourselves by your efforts. If you ask His forgiveness with sincere hearts, He will pardon you. I, your mother, through the intercession of Saint Michael the Archangel, ask you to amend your lives. You are now receiving the last warnings. I love you very much and do not want your condemnation. Pray to us with sincerity and we will grant your requests. You should make more sacrifices. 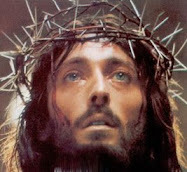 Think about the passion of Jesus. You have convinced me. You have shown documentation of what the church and what Bible says. Even St Faustina's discription is different to what garabandal says. Things aren't adding up with Garabandal and as you said, there are too many of the prophecies that did not come true. You said you "can show enough documentation from church and Gospel to prove when they speak of the end of time, they mean the end of the world." I have been waiting for you do do this. Can you show this too? I think I will go to Medjugorje for the miracle now. Garabandal has too many faults. PAKe, have you at least watched the video once ? Garabandal does NOT talk about the "end of time". Conchita's translated message said after the 4th Pope, it would be the end of THE times", meaning the end of an era. Not the end of all time. PAKe, which are false prophecies in your opinion ? Pake I will answer you question later I have to find the documentation and I don't have much time now. Glenn Hudson. You play with words. So I will copy EXACTLY what it says in the book. The "official" book given by the "Official" promoters, not a self proclaimed one. "after Pope John (XX111). there will come three other Popes and after...there will be no more. No, four, for one of them would not really count, the Blessed Virgin told me." "One Pope not really count"..serious?? So Conchita says "It is all in the books"
Here I have in my book saying after Pope Benedict "there will be no more." One of the many false prophecies of Garabandal. Pake, forget Medjugorje. You obviously didn't quite understand me. There are no "Official " books or promoters .There are dozens of books on this subject. Conchita never declared any book "official". And if anyone is the closest to the "official " promoter it is Joey Lomangino, who is Conchita's closest friend. Since I have direct contact with Conchita as her friend, I can speak with authority on this matter. Any other claim is a LIE ! PAKe, I think you are confused about something, Sister Faustina describes the "illumination of conscience " which is exactly like Conchita described the "Warning ". 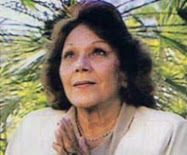 ( it is marked by an event in the sky AND IT IS A REVIEW OF OUR SOUL AS GOD SEES IT )In a Sept.14,1965 interview, Conchita described it as " a revelation of our sins ". How is this different ? They are talking about the same experience. God DOES sent Prophets ! 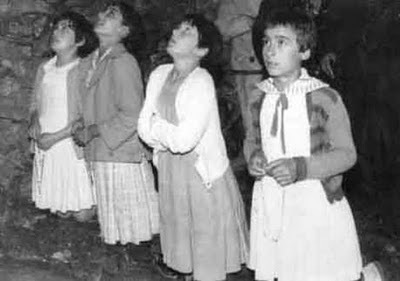 Ever hear of the church APPROVED apparitions & messages of FATIMA ? I thought Maria Saraco with Joey were the promoters. So NO official books then. Ok. This book was given by the organisation of Our Lady of Mount Carmel. As Conchita says "It's all in the books"
This is EXACTLY what it says in the book. Father Escalada explained his work in spreading the message of Garabandal in Mexico and the Pope Paul VI encouraged him to continue saying: "These messages must be made known." Father Escalada asked the Pope for his permission to continue promoting Garabandal and the Pope said “YES”. Pope Paul VI said :"It is the most beautiful story of humanity since the days of Christ. It is like a second life of the Virgin on earth. And we can never be grateful enough for it." You know, I believe that JP11 may have said this. As this was in the early days before they had investigated it properly. But this does not mean he is declaring the prophecies of Garabandal true. He would go by what Scripture says. Conchita said the alleged Virgin said. "after Pope John (XX111). there will come three other Popes and after...there will be no more." You know Glenn Hudson, It really doesn't mater what you come up with. Because fact is. Apart from I have shown the latest words from the Bishop to declare it is FINAL against Garabandal. There are all those prophecies in which did NOT come true. This is the sticking point! What are you going to say when Joey's earthly life is finished? Are you going to sweep him under the carpet like the paralized boy as if he didn't exist too? I tell you. I hope Jesus doesn't come before Joey dies, because He will loose souls. As there are those who will not recognise Jesus coming in His unfathomable Divine Mercy. They will do the 'unforgivable sin.' Blasphemy against the Holy Spirit. Anonymous , its funny how I at least provide facts and documentation on what I say BUT you make claims that you cant even back up ! SHOW US ALL where this "boy" who's full name you don't know , died ? IF YOU CANT , STOP POSTING IT ! NOTHING WORSE ON THE NET THAN AN "ANONMYMOUS ' COWARD WHO SPREADS LIES AND CANT BACK IT UP WITH PROOF ! And for god sake stop saying I am a blasphemer of the Holy Spirit ! I have never uttered a single word against the Holy Spirit ! I HAVE SEEN WITH MY OWN EYES AND LIVED COUNTLESS MIRACLES AND CONVERSIONS FROM OUR LADY OF GARABANDAL OVER THE YEARS. Your eyes and mind is closed, its no wonder Mary can not reveal anything to you. Glenn Hudson. You are leading people to Blasphemy against the Holy Spirit. If people think it is Jesus coming with a warning. This is wrong! He is coming in His unfathomable Divine Mercy. Who will recognise Him? You are promoting an alleged apparition in which the Bishop has given you NO authority to do. All you do is preach about a false apparition. We were told to spread the Good News of the Gospel of our Lord Jesus Christ. Glenn Hudson. when you speak of God, you speak of a god in which I do not know. When Jesus comes. It will be His Final coming. Anonymous how about being polite for once and let PAKe answer the question I asked . We all know your opinion, I would the chance to speak and hear this persons opinion. If anyone here lies its YOU ! The Bishop NEVER SAID NO,the OFFICIAL church ruling is Non-constat de supernaturalitate - It is not certain that the events are of supernatural origin. MAYBE YOUR SO FILLED WITH HATRED THAT YOU CANT UNDERSTAND THIS SIMPLE RULING,IT MEANS THEY ARE NOT SURE,AND IF IT WAS A "NO", THE VATICAN WOULD HAVE RULED ALREADY,AND THEY DIDN'T ! 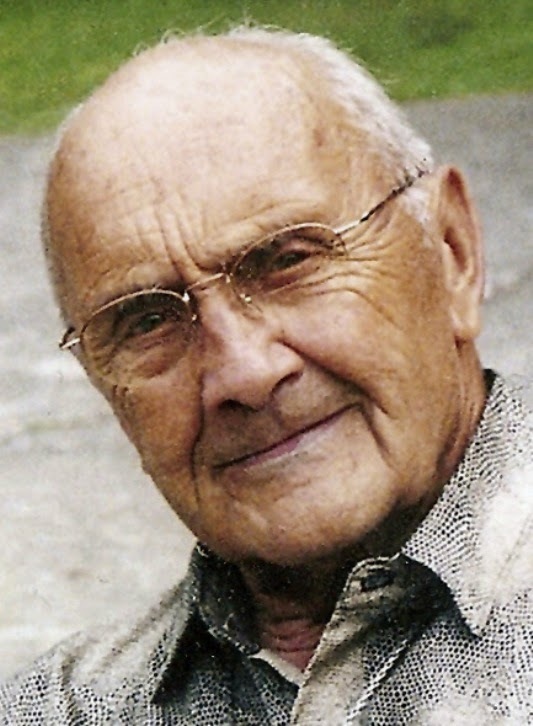 Glenn Hudson. You haven't even read what the Bishop publicized. Or you have ignored them. Glenn you just said "It is not certain that the events are of supernatural origin." You also say the Bishop's are unsure so they haven't given any ruling. DID YOU READ THE LAST PUBLISIZED LETTER THAT I POSTED FROM THE BISHOP? Point 6 says... it"is now final:"
Point 5 also says.."Previous declarations of the Holy See agree in this finding." I think it is fair to say this is very clear to understand for anyone with normal intelligence.